Hoang Su Phi’s terraced fields will be recognized as a national relic. On these days, terraced fields have turned yellow. 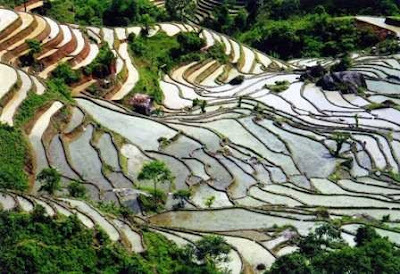 Terraced fields are a popular cultivated form in Southeast Asian countries like Vietnam, Laos, Thailand, Philippines, Indonesia and some southern provinces of China. 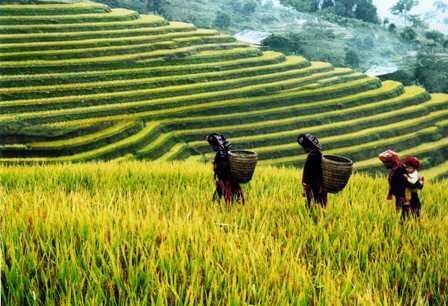 In Vietnam, a terraced field is the production form of many ethnic groups in northern mountainous region like La Chi, Ha Nhi, Mong, Dao or Nung. 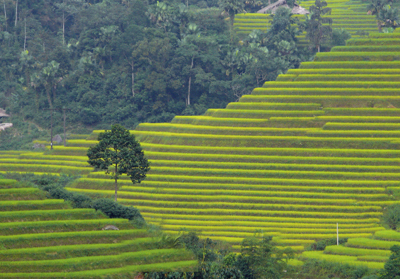 In Ha Giang province, terraced fields are mainly located in western districts. Researchers said that terraced fields appeared in Hoang Su Phi several centuries ago. Terraced fields in the communes of Phung, Luoc, San Sa Ho, Ho Thau, Nam Ty and Thong Nguyen have become the pride of Hoang Su Phi. Hoang Su Phi terraced fields will be recognized as national relic on September 16, 2012. 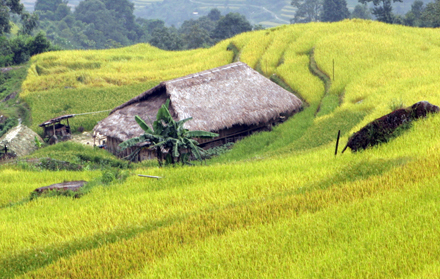 Hoang Su Phi district is around 110km from Ha Giang city. The district is on the upstream of Chay River, the largest and oldest river in the region. 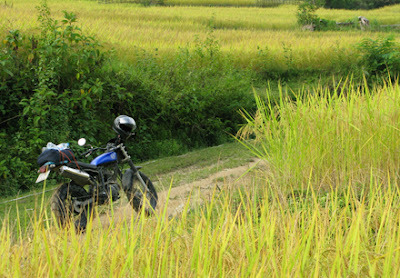 Let’s admire the beauty of rice harvest season in Hoang Su Phi.